Hi guys. It's October's Lacquer Legion and the prompt is AFTER DARK. I had so much trouble with this one. 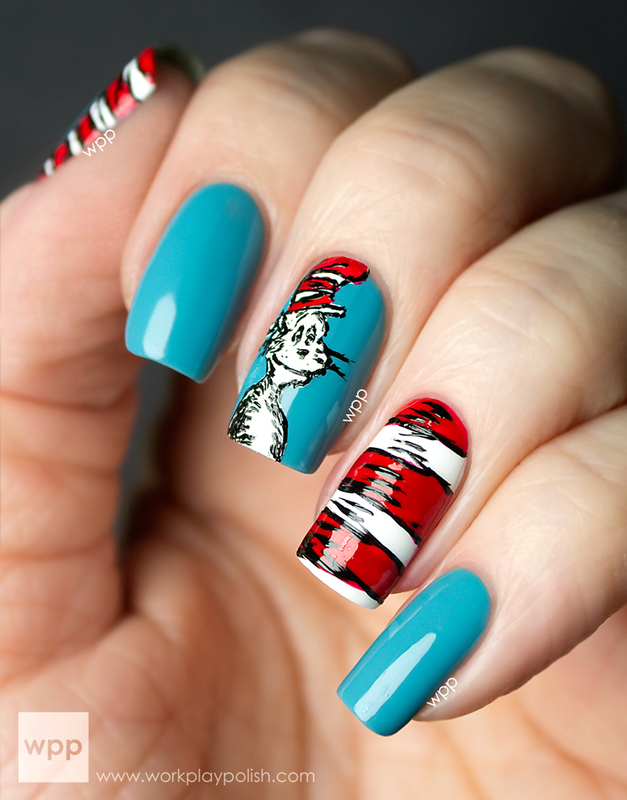 It seems like every single Halloween-themed nail art has been done before...plus I shy away from horror and frankly anything I wouldn't let my daughter wear! I started "doodling" some dotted circles on a Post It note with some orange and black polishes. Then I had the idea to make the center of each one a different Halloween icon - and so this nail art was born. These are about as tame as it gets for Halloween...but I really like how they turned out. The theme is subtle. In fact, you probably wouldn't even notice it if you weren't looking for it. My base polishes are the two shades in the Morgan Taylor Halloween Collection. The set includes Little Black Dress (a great black!) and a crazy bright orange called Orange Crush. 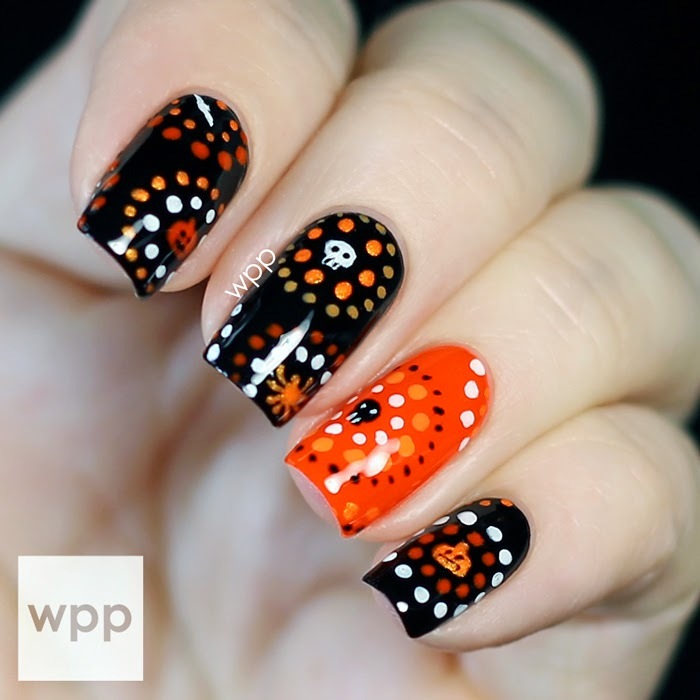 I used a fine art brush to create the jack-o-lanterns, skulls, spiders and bats and teeny dotting tools to make the dots. I also introduced a new light source and used a different lens for these pics. Why? Because I'm never satisfied and always tinkering with my setup. I'm not sure if I like it. We'll see! 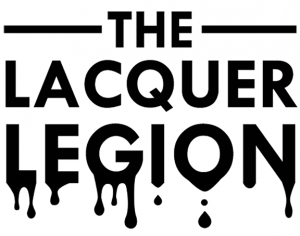 I try to look at every single Lacquer Legion mani on the interwebs. Make sure to use the #LLAfterDark hashtag so we can find you. 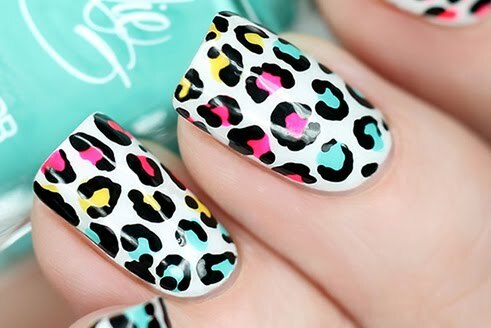 Check out the Lacquer Legion Facebook where we’ll feature some of our faves at the end of the day.